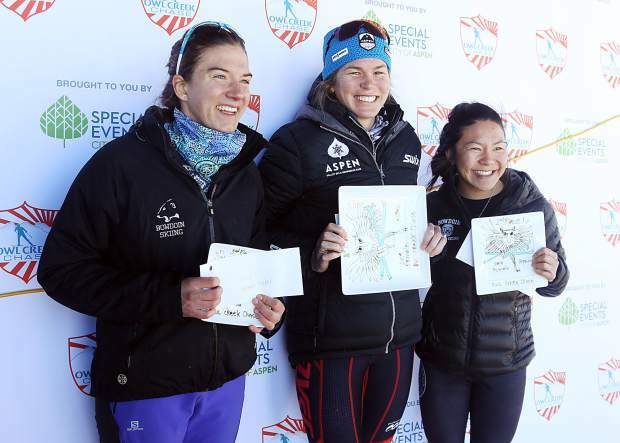 From left, women's classic race third-place finisher Hannah Miller, winner Kara LaPoint and runner-up Ellie Hands pose on the podium of the Owl Creek Chase cross-country ski race on Sunday, Feb. 10, 2019, at the Aspen Nordic Center. (Photo by Austin Colbert/The Aspen Times). 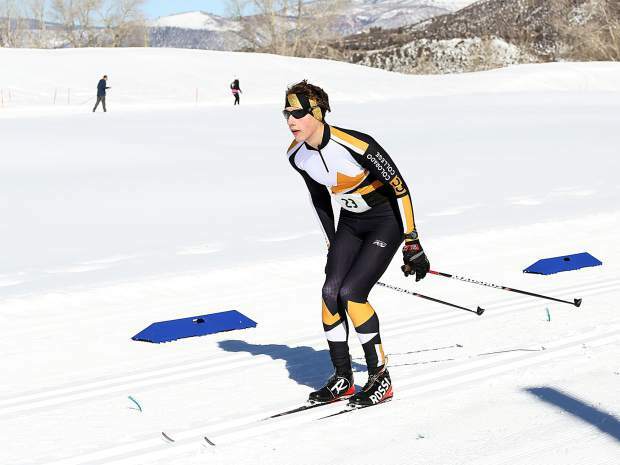 Aspen's Natalie Trecker competes in the Owl Creek Chase cross-country ski race on Sunday, Feb. 10, 2019, at the Aspen Nordic Center. (Photo by Austin Colbert/The Aspen Times). Carbondale's Corbin Carpenter of the Aspen Valley Ski and Snowboard Club competes in the Owl Creek Chase cross-country ski race on Sunday, Feb. 10, 2019, at the Aspen Nordic Center. (Photo by Austin Colbert/The Aspen Times). A racer approaches the finish of the Owl Creek Chase cross-country ski race on Sunday, Feb. 10, 2019, at the Aspen Nordic Center. (Photo by Austin Colbert/The Aspen Times). 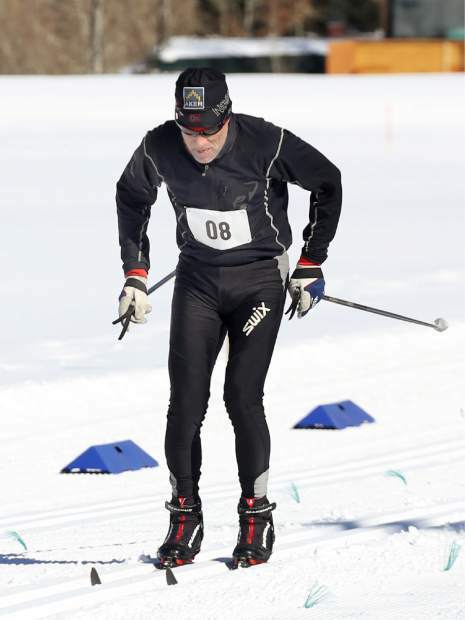 Oliver Jones of Colorado Springs competes in the Owl Creek Chase cross-country ski race on Sunday, Feb. 10, 2019, at the Aspen Nordic Center. (Photo by Austin Colbert/The Aspen Times). 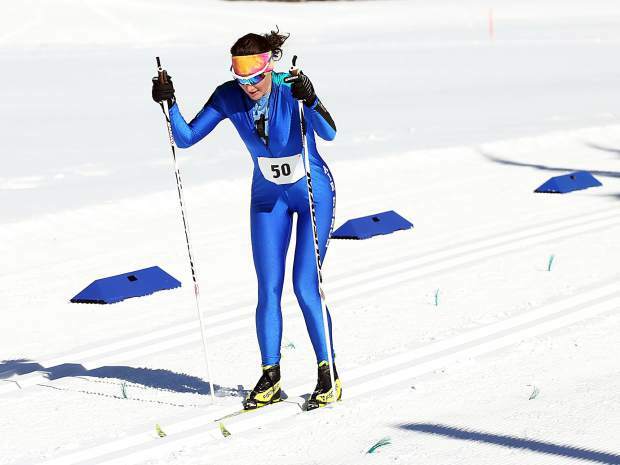 Rebekah Bryant of the United States Air Force Academy competes in the Owl Creek Chase cross-country ski race on Sunday, Feb. 10, 2019, at the Aspen Nordic Center. (Photo by Austin Colbert/The Aspen Times). 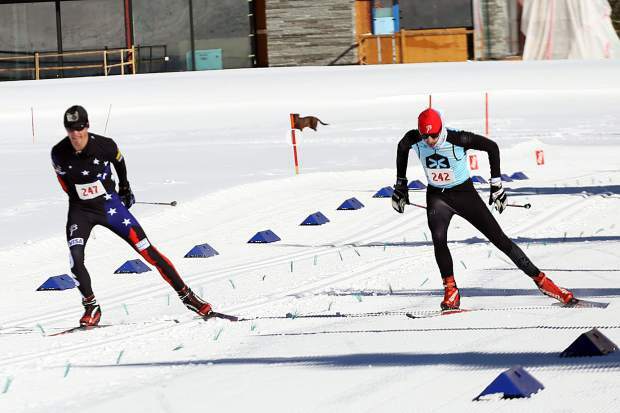 Patrick Jooston of the United States Air Force Academy competes in the Owl Creek Chase cross-country ski race on Sunday, Feb. 10, 2019, at the Aspen Nordic Center. (Photo by Austin Colbert/The Aspen Times). Aspen's Elsie Weiss, front, tries to outpace her father, Austin Weiss, to the finish line of the Owl Creek Chase cross-country ski race on Sunday, Feb. 10, 2019, at the Aspen Nordic Center. (Photo by Austin Colbert/The Aspen Times). Boulder's Matt Rossman, right, tries to catch up to Steamboat's Erik Lynch in the Owl Creek Chase cross-country ski skate race on Sunday, Feb. 10, 2019, at the Aspen Nordic Center. Lynch narrowly pulled out the win. (Photo by Austin Colbert/The Aspen Times). A racer competes in the Owl Creek Chase cross-country ski race on Sunday, Feb. 10, 2019, at the Aspen Nordic Center. (Photo by Austin Colbert/The Aspen Times). Skate women: Meghan Kent, Laramie, Wyo. 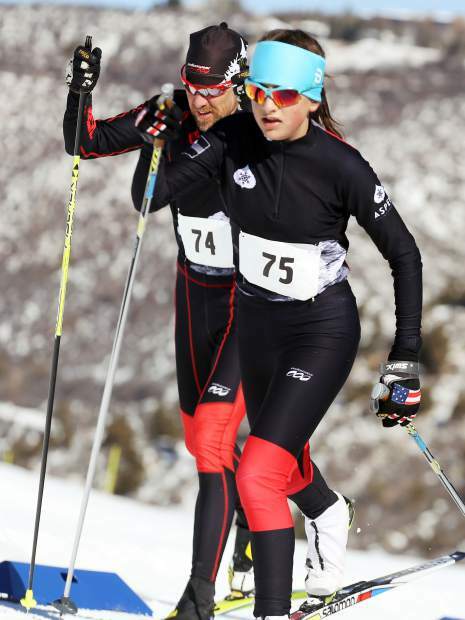 Carbondale’s Kara LaPoint likes the Owl Creek Chase cross-country ski race for a lot of reasons. Certainly her knack for winning it is on that list somewhere. For the third year in a row, LaPoint won the women’s classic ski race on Sunday, which features a 21-kilometer course from Snowmass to the finish at the Aspen Nordic Center, via the Owl Creek Trail. 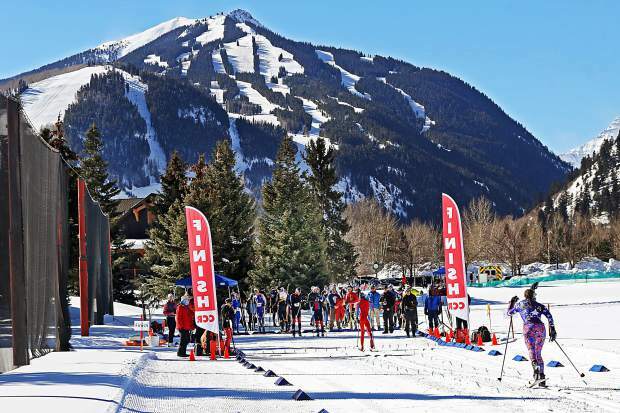 The race, which dates back to 1985, currently is organized by Aspen Parks and Recreation, and is part of the Colorado Nordic Race Series. This was LaPoint’s second win on the full course, her first coming in 2017. 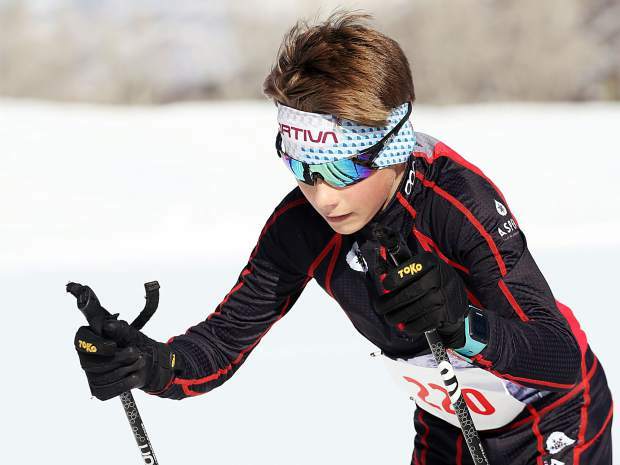 She also won in 2018, but because of snow conditions last winter that race was limited to only 10 kilometers and was held near the high school. It wasn’t an easy win, as LaPoint only beat Boulder’s Ellie Hands by about 10 seconds. Hannah Miller, also of Boulder, was third among women in the classic race. The men’s and women’s winner of the classic race each received $300, with $200 going to second and $100 for third. 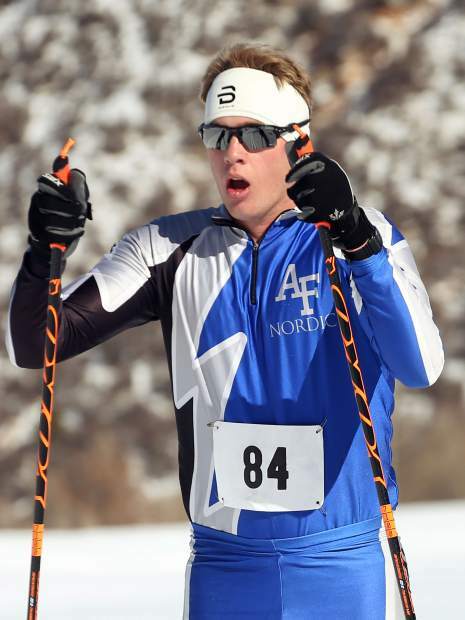 Mitchell Hollman, who competes for the United States Air Force Academy, won the men’s classic race by a narrow margin over Boulder’s Sam Shaheen. Gunnison’s Kevin Geisen was third and Kremmling’s Tyler Scholl fourth. Erik Lynch of Steamboat Springs won the skate race in a sprint finish over Boulder’s Matt Rossman. Xavier Fane of Crested Butte was third, about eight minutes back of Rossman. Meghan Kent, of Laramie, Wyoming, won the women’s skate race, finishing seventh overall. In second was Kremmling’s Steph Scholl and in third was Heidi Mellin of Aspen. Competing in the Owl Creek Chase was a little bit of everything, from grizzled veterans to college athletes to those just in middle school. For complete results, go to http://www.aspenspecialevents.com.